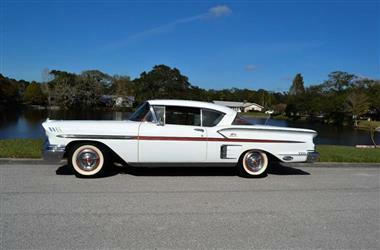 1958 Chevrolet Impala in Clearwater, FL for sale. 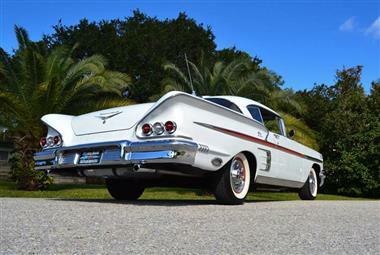 1958 Chevrolet Bel Air Impala Sports Coupe for Sale. 283 cubic inch V8 engine, upgraded front power disc brakes, power glide automatic transmission, 14� steel wheels with caps and Coker Classic wide white wall tires, chrome sport mirrors, tri-color bench seat interior, AM/FM/Cassette radio, under dash tissue dispenser. This car is an American Icon and shares a similar look to the car driven by Ron Howard in the movie American Graffiti. 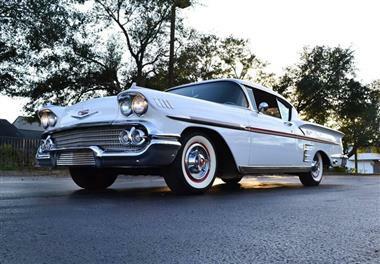 Don�t miss this very special 1958 Chevrolet! Automotive History: The Impala was introduced for the 1958 model year as top of the line Bel Airhardtops and convertibles. From the windshield pillar rearward, the 1958 Bel Air Impala differed structurally from the lower-priced Chevrolet models. Hardtops had a slightly shorter greenhouse and longer rear deck. The wheelbase of the Impala was longer than the lower priced models, although the overall length was identical. Interiors held a two-spoke steering wheel and color-keyed door panels with brushed aluminum trim. No other series included a convertible. The 1958 models were longer, lower, and wider than its predecessors. 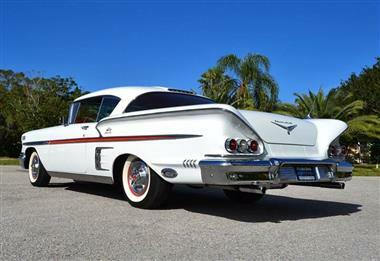 The tailfinsof the 1957 were replaced by deeply sculptured rear fenders. Impalas had three taillights each side, while lesser models had two and wagons just one. Crossed-flag insignias were attached above the side moldings, as well as bright rocker moldings and dummy rear-fender scoops. 1958 was the first year of dual headlamps. 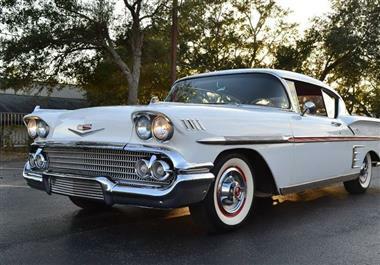 For 1958, GM was promoting their fiftieth year of production, and introduced anniversary models for each brand; Cadillac, Buick, Oldsmobile, Pontiac, and Chevrolet. 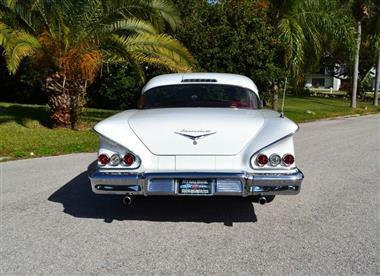 The 1958 models shared a common appearance on the top models for each brand; Cadillac Eldorado Seville, Buick Roadmaster Riviera, Oldsmobile Holiday 88, Pontiac Bonneville Catalina, and the all-new Chevrolet Bel-Air Impala. 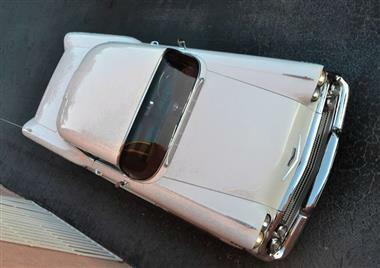 The standard perimeter-type frame was abandoned, replaced by a unit with rails laid out in the form of an elongated X. Chevrolet claimed that the new frame offered increased torsional rigidity and allowed for a lower placement of the passenger compartment. 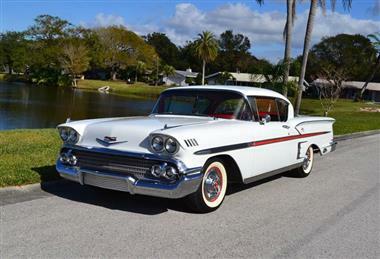 This vehicle is priced $15,597 less than the Average Market Price of $63,497 for a 1958 Chevrolet Impala. This is a Good Deal as it's priced 25.0 % below market avg. The Pie chart below shows the number of ads within different price ranges.